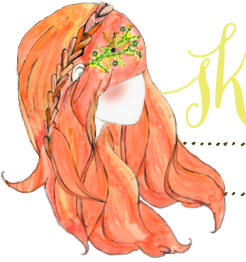 **Just in case there are any newish readers out there who may not know, my daughter Hope used to guest blog bi-weekly here on my blog. It doesn't happen as often these days, but when it does it's always a sweet treat (at least for me). Hi, everybody! Long time no see! I've been really busy so I haven't been writing much. Anyway, today I want to talk about gymnastics. I started gymnastics about a month ago and I REALLY like it! Last week I got to do a gymnastics camp which means a 2 hour class for 4 DAYS IN A ROW!! I just graduated from Level 1 and I will be starting Level 2 on Wednesday. I don't mean to brag or anything, but my coach said I'm almost ready for Level 3! I'm learning to walk backwards on the balance beam and do cartwheels on it. We also started working on back handsprings last week! I still need to be spotted but it is lots of fun! Poesy can't wait until she is big enough to do gymnastics. She is always running out on the mat and doing somersaults and jumping around. My parents are constantly chasing her around. She is very determined to do what the big kids are doing. Oh! Another favorite thing about gymnastics is being in class with my friends. Two of my friends in my class I've known since I was a baby and they are home schooled too. After class every week we go out and grab dinner and sometimes they come too. Okay. Thanks for reading. You guys are good blog friends! So cute! I love gymnastics too, Hope. Are you going to watch the Olympics this summer? The gymnastic is the best! this is so precious, Hope! I love your guest posts! Hope, my cousin did gymnastics for a looong time. He's now 14 and I think he stopped, but MAN was he good! If you keep at it, you're going to impress a whole lot of people with that amazing talent! sweet sweet blog hope! you have a sweet spirit like your mom! This is so sweet! I'm glad you posted, Hope! Good job, Hope! I'm so impressed with your pointed toes on the bars. You have great form! aw this is so cute! Sounds like you're loving gymnastics Hope! Keep it up and you'll be doing backhandsprings and tucks all by yourself! I always enjoy reading your posts, Hope. First of all, you have a lovely family. You must be so proud of them. Second, I am so impressed with your gymnastics skills. I took gymnastics when I was younger and could barely even do a backwards somersault! I'm sure you're super busy over the summer, but I think you should make some time to write more posts. It's nice to see the world from your perspective! Btw-when are the Alphabet Tote winners going to be announced? i love this. 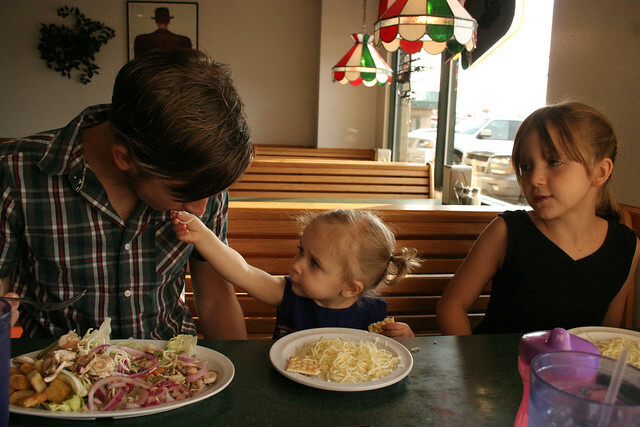 i can't wait for my little girl to be able to do this. such a lovely family and cheers Hope! Level 3 is awesome!! that is awesome! i did gymnastics until it was 8 and it was so fun! i never did master the back hand spring, i am always so impressed when i see someone do it! keep us posted! Go Hope go! That's great!!! Hope you keep enjoying gymnastics. Cute!! Hope - you look so much like your beautiful mom! 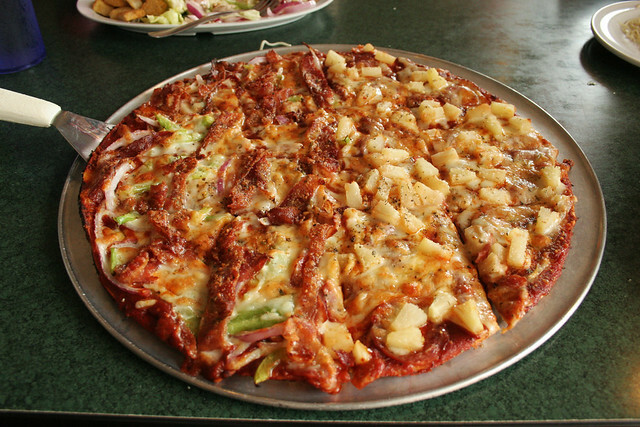 Be still, my heart. I love this. She needs to come back more often. This is so cute! Hi hope! Way to go! You look like you are a natural born gymnast! Great job, Hope! I loved your post, and it sounds like you are a natural gymnast! I always enjoyed the bars, too. Keep up the good work! Cartwheels on the balance beam is impressive! I loved swinging on the bars when I was a kid, but balance was never my strong suit :) Looks like you've found something you really love! I don't know much about gymnastics, but you look like a pro! hope, you are such a rad kid! i did gymnastics when i was your age, so i know how fun (& tough) it is! from the pictures, you look like a natural! i can't wait to hear about all your progress! so sweet! 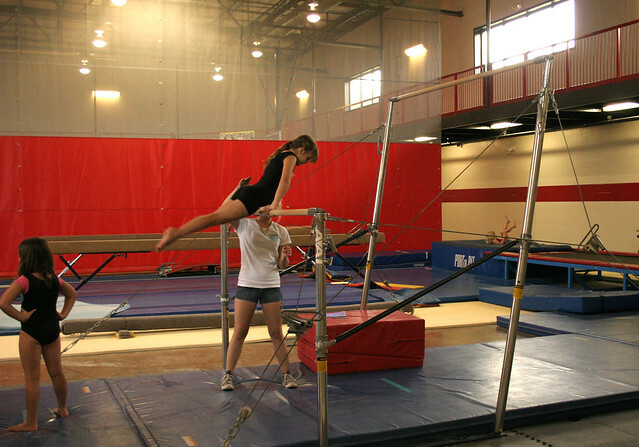 I took gymnastics when i was young and the bars were my most favorite thing! You'll have so much fun! you rock and your parents must be so proud!!! Hope, you are such a talented gymnast! I always wanted to take gymnastics when I was a kid. Are you planning on watching the gymnasts at the Olympics? That is always one of my favorite parts! Love your post, Hope. I never really took special gymnastics classes when I was little. Her in Germany it was part of our PE lessons at school though. I liked the balance beam too. I even could do a somersault down at the end. Awww! I wanted to do gymnastics when I was little, but it wasn't offered where I grew up unless you were in school. I was home schooled too, but I did not grow up in a home school-friendly area! It's great you have activities you can be involved in! Hope, you are adorable! You are very talented at gymnastics! How adorable! This is such a cute post, Hope! It looks like you are having a blast doing the gymnastics. What a great post, Hope! 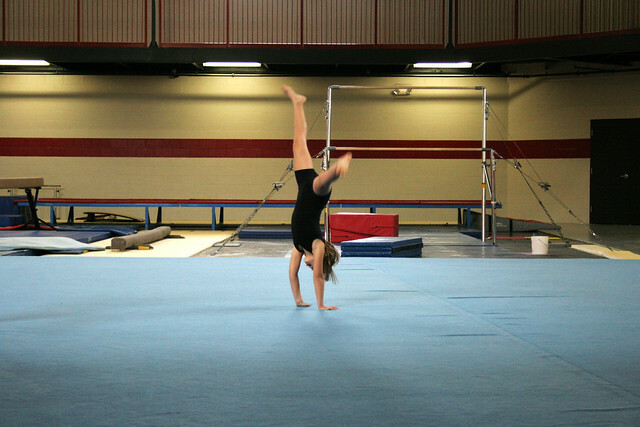 How cool it is to see how well you're doing at gymnastics, not to mention how much you love it! I am 29 and have never been able to even do *one* cartwheel, so I think you are pretty awesome. Keep up the great work, and have so much fun doing what you love! My girls are home schooled to and they love it. It's good that you have fun activities to do with your friends. That important for a home schooler to have. This was a nice post, pretty girl. She is so adorable! Love it! That's so great that she's into gymnastics! Hi Hope! You & Poesy remind me of me & my big sister when we were younger--I was always chasing her around, trying to do all the things she was doing! Congratulations on moving up to Level 2, & keep working hard! Thanks for blogging! I always wanted to do gymnastics when I was little, especially the balance beam! How exciting! Hi Hope! Good to see you back here, I've missed your posts! Congratulations on moving to level 2 - it sounds like you are a natural! That's a pretty awesome toe-point in the pics above! Have fun this summer, and I can't wait to read your next post! Keep it up Hope!!! My boy Jackson is an 8 year old level 7 on trampoline and as well as double mini. He is only level 3 at tumbling. He is also home schooled by his wonderful dad. He has been doing gymnastics for only 3 years and is the youngest level 7 on his team of 36. He is going to the USAG National Junior Olympics this year in July. Work hard and most important have fun!!! Keep up the hard work and determination Hope, as well as Poesy! Working hard at something is very rewarding, and teaches you many things in life. I never had the pleasure of being able to do extra curricular activities or sports, but I have always wanted to. It is important for me to now try to stay active. Best of luck! I did gymnastics for six years when I was a kid, and the bars were always my favorite. Congratulations on moving up a level Hope! I remember how exciting that felt. Hope you are awesome! I used to do gymnastics too and I loved it. Keep up the good work girl, can't wait to see what you accomplish. I do gymnastics too.You're better than me. Good job Hope! Isn't it fun, Jada? It's one of my favorite things. Hi Hope! Great job! Thanks for guest posting! I was a gymnast for over 10 years, I loved walking on my hands. Soon you will be doing back handsprings ON the beam. Hope! You are so brave! 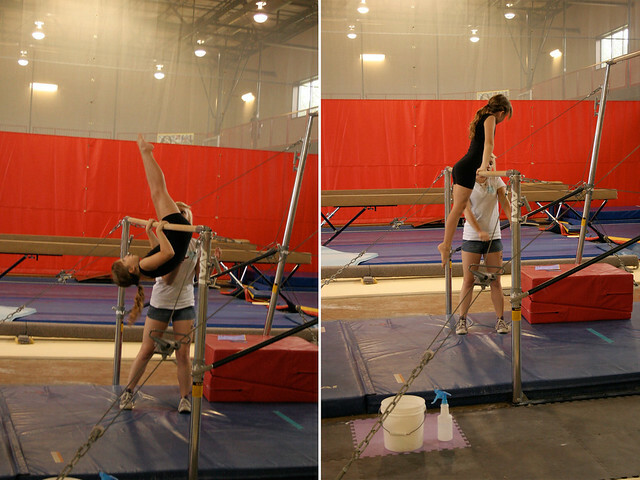 When I was a little girl I was actually afraid of trying out any of the gymnastics equipment, Im so proud of you! I really love reading your posts Hope! You are such a great writer and this post especially made me think of when I was in gymnastics at your age. I loved it too! Can't wait for your next post! Oh my gosh, that was great!! keep up the good work!! great post, Hope. I was a gymnast for a LONG time - I hope that you stick with it! I'm impressed you like bars and beam (I was more of a valut and floor kind of girl) Remember to always have fun. Congrats on Level 2, that's awesome!! I too used to do gymnastics for a long time when I was young and I have some of the fondest memories from that time. If you ever decide that you want to try something new, people who used to be gymnasts do really great in dance. Have fun! Good luck with your back handsprings and your kip. Uneven bars are my favorite! I think your posts are amazing and I hope that when I have children they are as smart and adventurous as you are! You are truly an inspiration to young girls and I think homeschooling is amazing, it's not very big in Australia - but I'd love to be able to offer that to my children one day! Hi Hope! Good to hear from you. I'm a reader all the way from Sweden :) Gymnastics sounds like a lot of fun, it's an amazing feeling when you find a hobby that you really like! I look forward to your next blogpost. Have a wonderful summer! 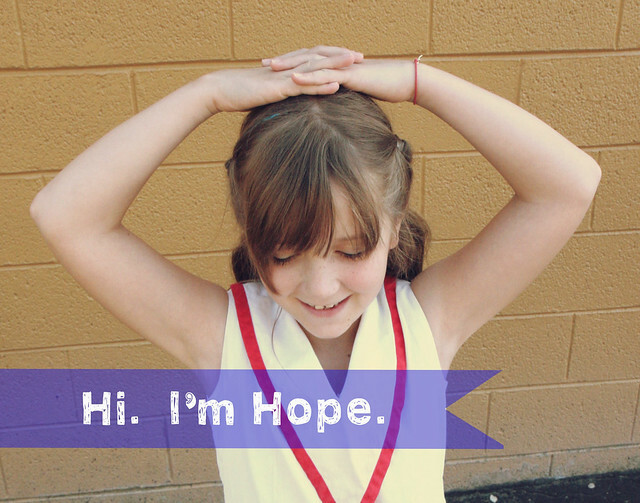 Hello Hope! I'm glad to hear from you again :) my name is Hermina and I'm South African, but I live in Greece. I'm so proud for you, gymnastics are indeed a great hobby! It's strange to be proud for somebody that you've never met, but I really am proud, since I feel like I've known you guys for a while! You're SUCH a sweet girl, just like your dear mother and adorable sister. I love you guys! Hi Hope! Glad you're enjoying gymnastics!!!! Keep up the great work and you are a fantastic blogger. Hi Hope. Wow. You look like you're really having a lot of fun. It's nice that your mom and dad took those great pictures of you at gymnastics. I wish I had some photos of when I was a dancer. I had a lot of fun too. I was terrible at gymnastics though. You look like you really know what you're doing. I liked your blog post. You're a very good writer. Hope, you are literally the coolest blogger EVER. Its so awesome that you share your life with us, and it all looks like such fun! Yay! I love Hope's posts. I've been missing them. great job Hope it looks like you're getting really great at gymnastics! always follow your dreams and you can do whatever you want! Yay Hope! Great Job with gymnastics! Thanks for sharing your gymnastics post, Hope! Gymnastics was my favourite thing at your age too. I can still do a few of my tricks, but I'm sure you're much better at it. Keep having fun and enjoy your summer! Hope points and extends her legs so perfectly from these shots! That's so amazing, I think!!! That's so wonderful. Have fun Hope! You're doing a great job!! Thanks for sharing about gymnastics hope! I loved reading about it! Wow you look so professional on those bars, like an olympic gymnast! Well done Hope, keep it up! Soooo cute !! I just discovered your blog and I just love it ! Your daughter seems to be so pretty and good at gym. Adorable, very adorable! I could see the hardships and her perseverance to by a gymnast someday. You are a lucky mom to have a kid who has a goal even she's still young. The baby is so beautiful with amazing gymnastic show the kids often learn gymnastics so quickly with so flexibility. Be seeing you at the Olympics soon, Hope !